When analyzing your small business’s performance, the accounts receivable turnover ratio is an important metric to know. This ratio evaluates how effectively you are collecting your receivables when customers buy on credit. Specifically, the accounts receivable turnover ratio measures how many times a year you collect, on average. While math equations may bore you, collecting your payments at a quicker rate is anything but boring. A recent survey found that 10% of payments are never paid or paid so late that businesses have to write them off as bad debt. Understanding and using your accounts receivable turnover ratio formula can allow you to avoid this bad debt, gain earned income, and grow your business to new heights. All you have to do is break out your calculator and face your turnover ratio head on. So, you’re ready to tackle your turnover ratio, but what exactly does it measure? Your accounts receivable turnover ratio evaluates how effectively you are collecting your receivables when customers buy on credit. It measures how many times a year you collect, on average. This is important, because your accounts receivable are only valuable assets if you collect them efficiently and regularly. Also, when receivables go uncollected, they can disrupt your income significantly. Uncollected receivables may even become losses for your small business. Your accounts receivable turnover ratio = net credit sales / average accounts receivable for the tracking period. To use this formula successfully, all you have to do is plug in your net credit sales value and divide it by your average accounts receivable. It’s really a simple division problem that can save your small business money in the long run. Once you calculate your accounts receivable turnover ratio, take a deeper look at it. The higher the ratio, the more efficient your small business is at collecting money owed to it. The lower the ratio, the less efficient your small business is. Low ratios indicate that your small business is not making timely collections. For instance, say your business has a ratio of two. This means you’ll collect your accounts receivable twice a year, or every six months. When you’re collecting debt payments, this is not usually considered enough. However, every industry has different ratios. In addition to making frequent and timely collections, you’ll want to calculate your ratio regularly. Small business owners typically calculate their turnover ratios on either an annual, quarterly, or monthly basis. To make sure you don’t fall behind your competition, you’ll want to regularly compare your ratio and number of accounts receivable collection days to your industry’s standards. To get your average number of accounts receivable collection days, you divide 365 by your ratio. Management companies. These companies have 125 accounts receivable days. This would equal an accounts receivable turnover ratio of 2.9. This means these companies collect their payments every 125 days or just under three times a year. Oil and gas producers. These producers have 110 accounts receivable days and a turnover ratio of 3.3. This means these companies collect payments every 110 days or a little over three times a year. Technical and trade schools. These schools have 109 accounts receivable days and a turnover ratio of 3.34. This means they collect their payments every 109 days or just over three times a year. Auto rental or leasing companies. These companies have 104 accounts receivable days or a turnover ratio of 3.5. This means they collect their payments every 104 days or three and a half times a year. Outpatient care centers. These centers have 98 accounts receivable days and a turnover ratio of 3.72. This means they collect payments every 98 days or just under four times a year. Architectural or engineering firms. These firms have 74 accounts receivable days or a turnover ratio of 4.9. This means they collect their payments every 74 days or just under five times a year. Foundation or building exterior contractors. These contractors have 67 accounts receivable days or a turnover ratio of 5.4. This means they collect their payments every 67 days or almost five and a half times a year. Other heavy and civil engineering construction. These companies have 66 accounts receivable days and a turnover ratio of 5.5. This means they collect their payments every 66 days or five and a half times a year. In comparison, private companies average between 35 and 40 days for collecting their accounts receivable. Say that your small business made $900,000 in net credit sales for 2017. Then take into consideration that your small business averaged $70,000 for accounts receivable. To get this average, you can average your beginning and ending accounts receivable balances. This means that it takes on average, 28 days for your customers to pay their invoices. 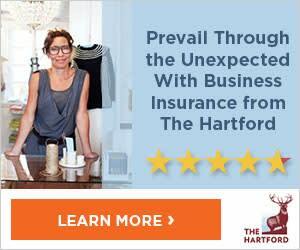 If your small business has a 30-day pay period, then this is right on target. However, if your customers are supposed to pay you back quicker than 30 days, this can indicate a lot of late payments. As a result, you may need to revise your collection process. Also, if you compare the 28-day collection period to the private company average collection period of 35 to 40 days, then your small business is collecting receivables at an efficient rate. As a small business owner, selling inventory is likely at the forefront of your mind. While this is a good thing, don’t forget to optimize your accounts receivable process. This is important because your accounts receivable represent money that is owed to your business. If you fail to collect it efficiently, your business will suffer a loss. Using an accounts receivable aging report. These reports show you which customers are overdue on payments. Setting limits on credit offered. Don’t offer every customer the option of using credit. You’ll want to review your customer’s credit scores before you offer it. Only give a credit option to those who have good credit. Also, if you have a customer who pays consistently late, don’t continue to extend the option to them. It’s okay to cut off some late paying customers. Offering early payment rewards. This is an easy way to motivate your customers to pay on time. For example, you can offer a discount for early payment. Sending out reminders. Email reminders typically are best, although text reminders are an upcoming trend. For customers that are especially late, you can resort to phone calls. Be sure not to harass your customers, though. Offer online payments. These can be convenient to access and use for customers. The more convenient it is to pay on time, the more likely your customers will finance charges and pay them timely. Your accounts receivable turnover ratio can tell you more than just how often you collect your receivables from customers. Over time, it can give you a better idea of how consistently you’re collecting your receivables. The overall evolution of your ratios can indicate any problems you may be facing. For instance, say you just started offering credit to your customers a few years ago. If your ratios are consistently getting higher, you may need to revise your collection process. But don’t worry. This is normal. Every good process takes a few tweaks to get there. You also can use your ratio to see if offering credit is hurting your income or bottom line. If it is, you may want to be more selective about who you offer credit to. Or you may want to shorten the payment period. This will get money from your customers, and into your business, quicker. One final use of your accounts receivable turnover ratio involves your competition. Your industry, like all others, will continue to evolve and change. As a result, you’ll want to stay up to date on your competitors’ accounts receivable turnover ratios. For instance, say your competitors collect receivables every 15 days. You can gain a competitive edge by offering a longer payment period. Introducing a more convenient payment period may encourage customers to choose you over the competitor. However, if offering a longer payment period is out of the question, that’s okay. Just make sure you offer a payment period that is at least equal to that of your competitors. Using total sales instead of net sales. If you calculate your equation using total sales instead of net sales, you will run the risk of inflating your turnover ratio. This can cause you to make business decisions that are not in your small business’s best interests. Your small business’s variation. You won’t always receive the same steady stream of receivables from your customers. There will be times of easy collection and times of many late collections. To handle fluctuations, you should pick your starting and ending points carefully. You’ll want to pick ones that more accurately reflect your year. To do this, you may want to take an average of your accounts receivable for each month. Measuring the wrong competitors. Be sure that you only compare your numbers to competitors in your industry. This is important because different industries have a wide range of average ratios. Comparing your numbers to the wrong industry could really throw you off. Other influences on your ratio. Low ratios mean you’re less efficient at collection. They can also mean you may not be getting your products or invoices to your customers in a timely fashion. When this happens, your customers don’t typically pay on time. Understanding your accounts receivable turnover ratio is an important first step in eliminating bad debt and late payments. This ratio will help you gain a better sense of your own business’s collection trends. Once you identify your small business’s collection habits, you can implement new procedures for improvement. It’s only up from here. 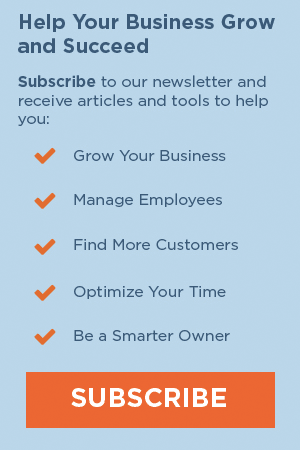 Next Steps: Sign up for the weekly Small Biz Ahead Newsletter and we’ll send you guides, articles, and videos to help you navigate the ins and outs of being a great manager and small business owner.